When will be Star Blazers (US) next episode air date? Is Star Blazers (US) renewed or cancelled? Where to countdown Star Blazers (US) air dates? Is Star Blazers (US) worth watching? Star Blazers follows the adventures of the crew of the Space Battleship Argo as they attempted to save Earth from successive attacks by alien enemies. Each season begins by revealing the threat to Earth as well as a solution that required a trek across space to a distant planet. The crew, known as the Star Force, fights the forces of Gamilon leader Desslok, Prince Zordar of the Comet Empire and The Bolar Federation. The Argo's main weapon is a huge cannon known as a Wave Motion Gun, which was situated in the bow of the ship. It was known to destroy entire planets! 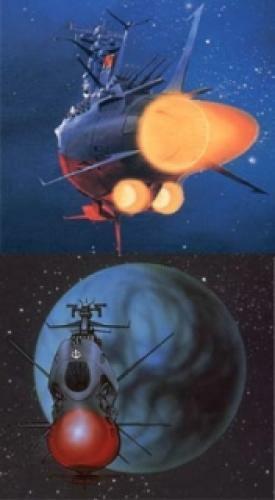 Star Blazers is the English-language version of Uchuu Senkan Yamato (Space Battleship Yamato). EpisoDate.com is your TV show guide to Countdown Star Blazers (US) Episode Air Dates and to stay in touch with Star Blazers (US) next episode Air Date and your others favorite TV Shows. Add the shows you like to a "Watchlist" and let the site take it from there.